Editors Note: This article, originally titled ‘Celebrating the Creator’s Game —Proposing A Change’ by Anthony Lanzillo, was originally published on July 26, 2017 at 2:50 p.m. 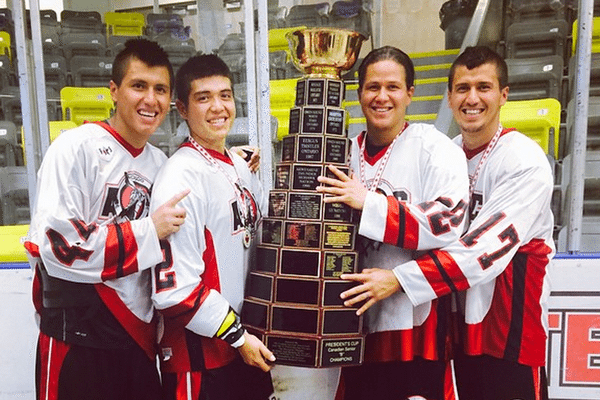 Given the recent controversies surrounding incidents involving Native Americans, we felt it was appropriate to share it again with the lacrosse community. Here’s his thoughts on keeping the modern game connected to its roots. Several months ago, I was thinking back to all the youth, high school and college lacrosse games that I’ve attended and watched over the past seven years. It dawned on me that in all of those games, there was never a moment in any game where some team, coach, or player publicly acknowledged, or honored the Native American history of lacrosse. 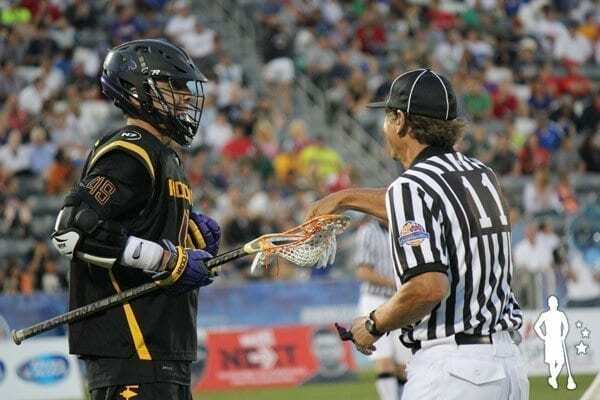 Even though everyone is talking about the rapid growth of the game, how popular the sport has become, and the latest fad in lacrosse gear or sportswear, I am becoming more concerned that we are going to lose the “soul” of this game. By not embracing and celebrating the Native American legacy in lacrosse, we are going to lose the “deep roots” that can keep all of us grounded. These roots, at the same time, heal us and keep us spiritually, mentally and emotionally healthy. We can not forget that this is the Creator’s Game. And, what our Native American family has to offer goes well beyond what happens on the lacrosse field. I have often wondered whether it’s through the Lakota Seven Values, the 7 Generations Principle, or even the Thompson Brothers, if the game of lacrosse could show us how to grow as human beings and serve the greater good. Show us how we could honor and support what is important and dear to all Native Americans. If we forget about or neglect our Native American brothers and sisters, I’m very afraid that all of us will lose touch with nature, the environment and the simple acts of generosity and gratitude. We need to embrace and celebrate the Native American culture and family. We need to remember what Native Americans can offer all of us. Specifically with regards to finding a better path or approach to life and living. The other day, I was on my bike for a daily six-miler. As a light rain started to fall, I stopped by a pond. I was watching the rain drops create circles on the surface of the pond. Then I looked down and realized that I move my feet in a circle to pedal the bike. I thought about the circle of life and the healing circle. It then hit me what “shape” a pregame ceremony should take in celebrating the Creator’s game. Before each lacrosse game, all of the players, coaches and refs walk to the center of the field and form a large circle; with their arms on each other’s shoulders. …to the Creator, for this game, for this field, for all the players and coaches, for the refs, and for everyone has come here to watch us play. And we will keep our eyes, minds and hearts open to serving the greater good in our daily lives. After about five seconds, the coaches and players return to the sidelines. 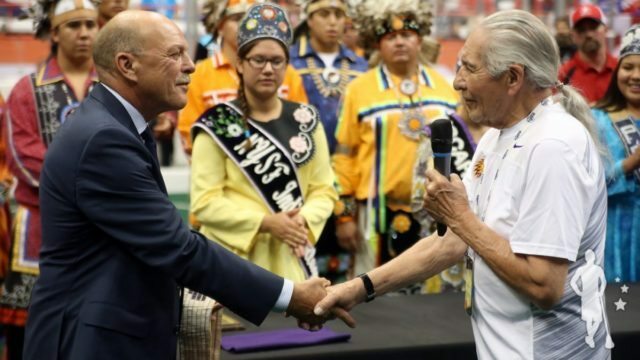 This pregame ceremony is one small gesture that the lacrosse community could make to help raise an awareness of and appreciation for the game’s Native American legacy. It could be the first step that we take to embrace our Native American relatives. A necessary step to share their story with the world. This is the time to engage and encourage people to open their eyes, minds and hearts. 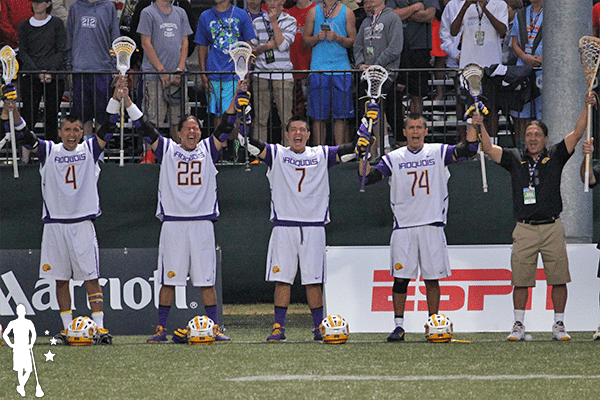 It’s time to realize what Native Americans have to offer all of us – on and off the lacrosse field. Anthony has been writing on the mental game of lacrosse and other sports for such websites as Coaches Clipboard, FirstDown Playbook, Coaches Training Room and Lax Playbook. He also has served as a mentor and a mental prep coach to a variety of athletes - from youth through high school and into college.